*the German word "Fernweh" signifies an aching for the far-away, a painful longing to be far away. It is the inverse of "Heimweh" homesickness, aching for home. 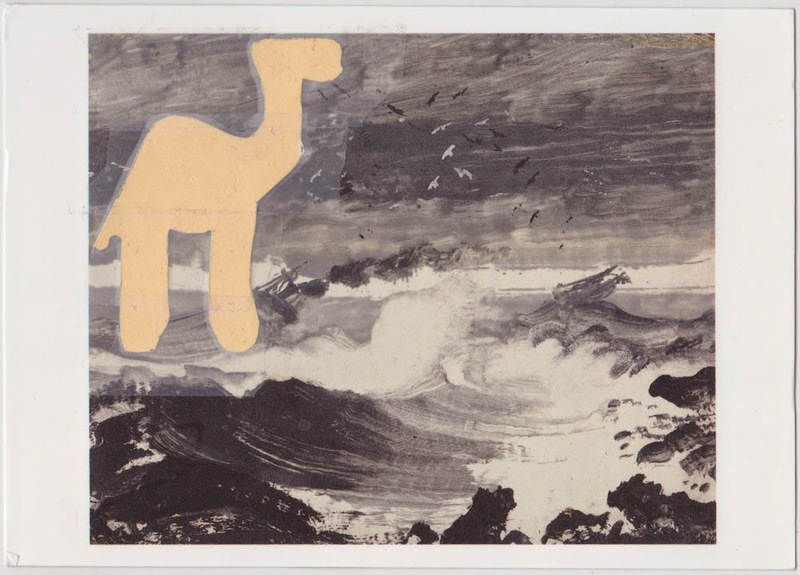 A postcard from HANNES BECKER, sent from Berlin, Germany. Hannes is a novelist, a playwright and a translator for English and German. Hannes studied at Deutsches Literaturinstitut Leipzig. And - the most important thing for me: Hannes is my youngest brother. 10 years younger than me. I left our home close to Frankfurt when Hannes was 9 years old. He moved to Berlin some years later. Now we are living in the same town again, luckily! Heimweh_Homesickness is the corresponding mail-art project to Fernweh*the good life : All Fernweh-artists have been invited another time to send a postcard to Anke's Berlin address, with the subject "Heimweh - Homesickness"
All Fernweh & Heimweh postcards will be exhibited at tête from January 16 - 17, 2016. Fernweh* the good life is a mail-art project by the German artist Anke Becker, created on the occasion of an artist residency at the KHN Center for the Arts in Nebraska City, USA / January and February 2015. 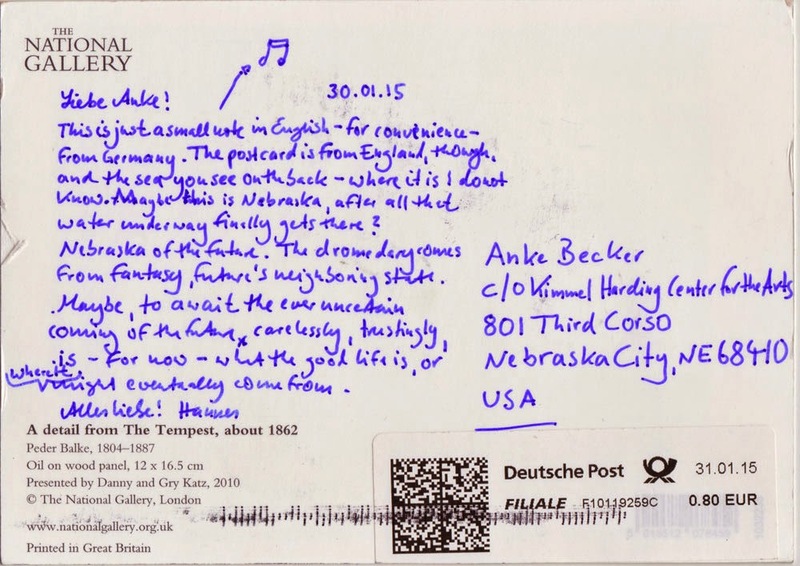 A selected, international group of visual artists and writers has been invited by Anke to send a postcard to her in Nebraska with their very own interpretation of "Fernweh..the good life". 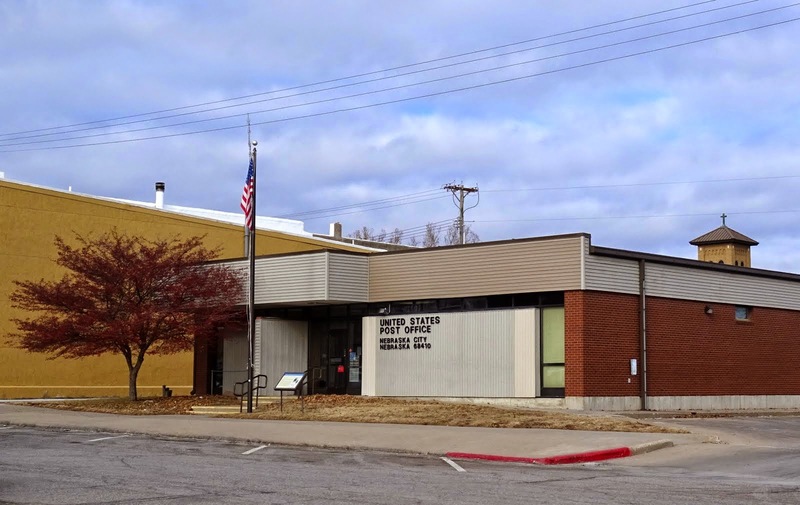 In return, every participant will receive a similar, one-of-a-kind postcard from Nebraska City. This Blog is a documentation of the project.